"What Drink Did" is a short drama directed by D.W. Griffith based on the novel "Ten Nights in a Bar-Room and What I Saw There" by Timothy Shay Arthur. The film is included in our program to illustrate the work of three of our stars: actress Florence Lawrence, actor Arthur V. Johnson and cinematographer Billy Bitzer. "What Drink Did", A Thoughtful Moral Lesson, is story about how excessive drinking can lead to tragedy. 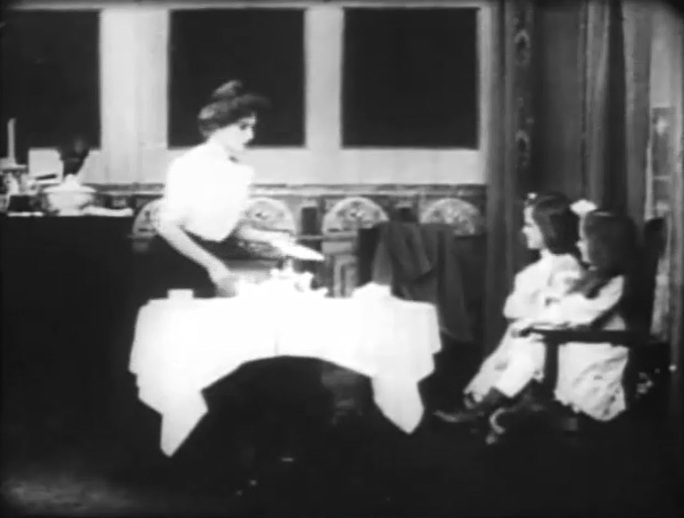 Florence Lawrence has a central part in the film, while Arthur V. Johnson plays a smaller role as a bartender. 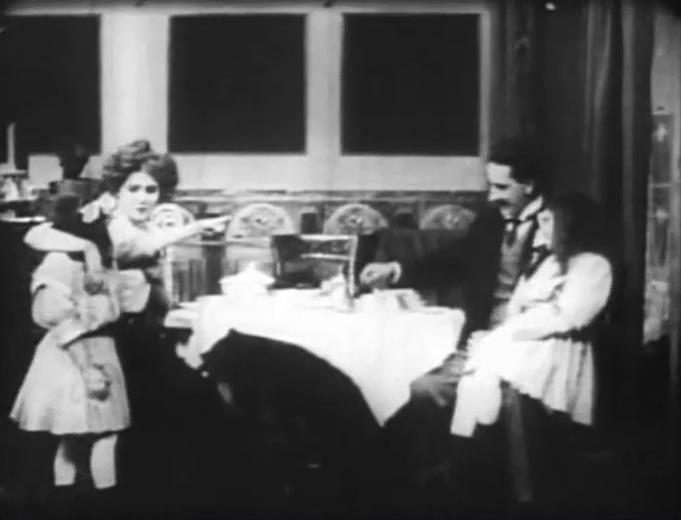 Florence Lawrence and David Miles have some quality time with their daughters in "What Drink Did" (1909), directed by D. W. Griffith, cinematographer Billy Bitzer. 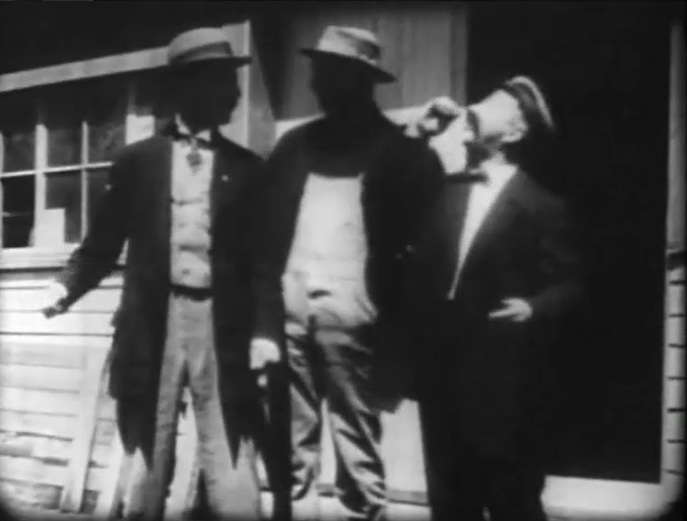 David Miles initially refuses, but then accepts a drink at work from his co-workers in "What Drink Did" (1909), directed by D. W. Griffith, cinematographer Billy Bitzer. 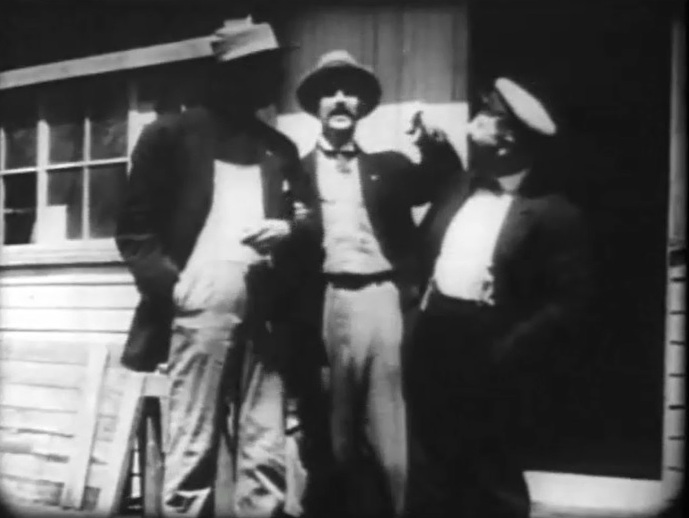 David Miles initially refuses, but then accepts to go for drinks after work in "What Drink Did" (1909), directed by D. W. Griffith, cinematographer Billy Bitzer. 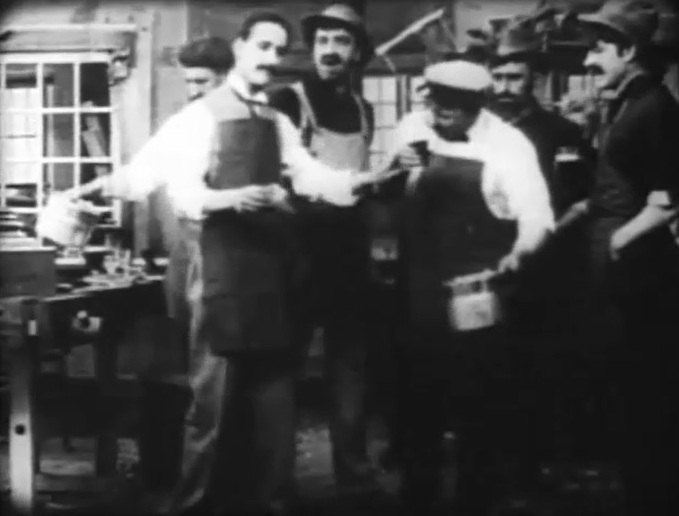 David Miles gets a few drinks, served by Arthur V. Johnson in "What Drink Did" (1909), directed by D. W. Griffith, cinematographer Billy Bitzer. 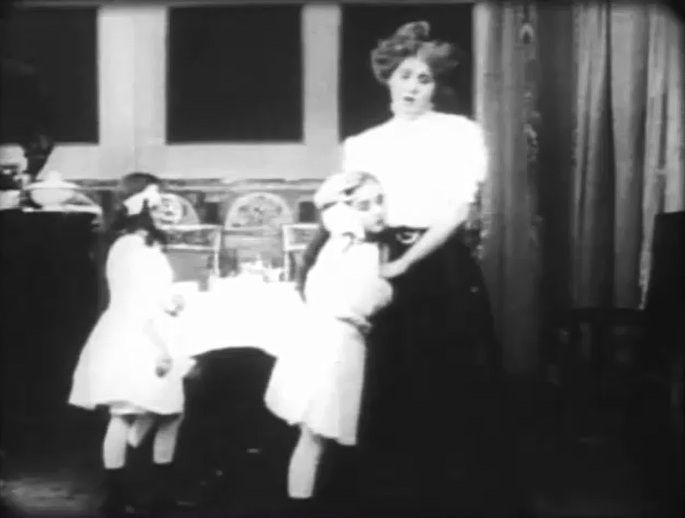 Florence Lawrence and her daughters wait for the father of the family in "What Drink Did" (1909), directed by D. W. Griffith, cinematographer Billy Bitzer. 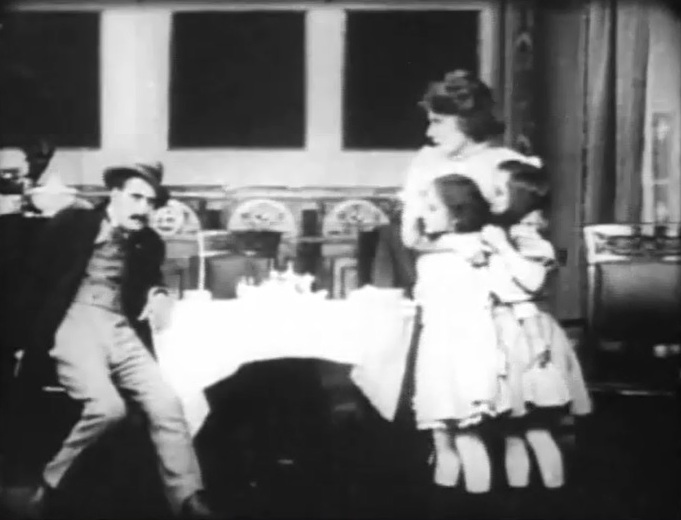 David Miles returns drunk as Florence Lawrence and her daughters keep a safe distance in "What Drink Did" (1909), directed by D. W. Griffith, cinematographer Billy Bitzer. 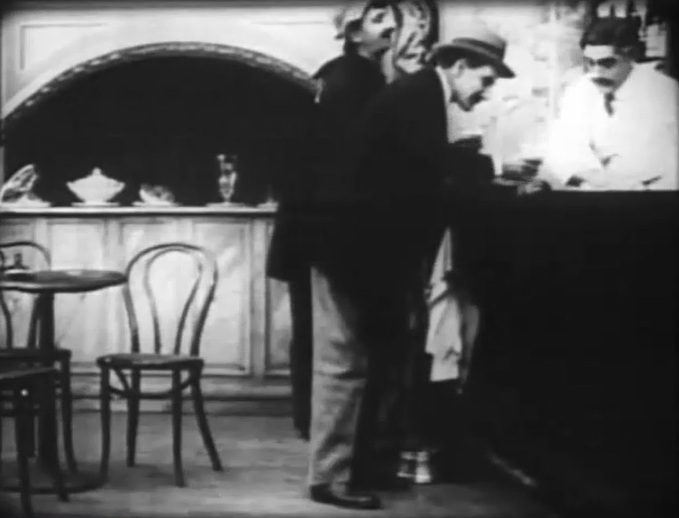 The next day David Miles doesn't need persuading to go for drinks in "What Drink Did" (1909), directed by D. W. Griffith, cinematographer Billy Bitzer. Florence Lawrence is upset waiting for her husband in "What Drink Did" (1909), directed by D. W. Griffith, cinematographer Billy Bitzer. 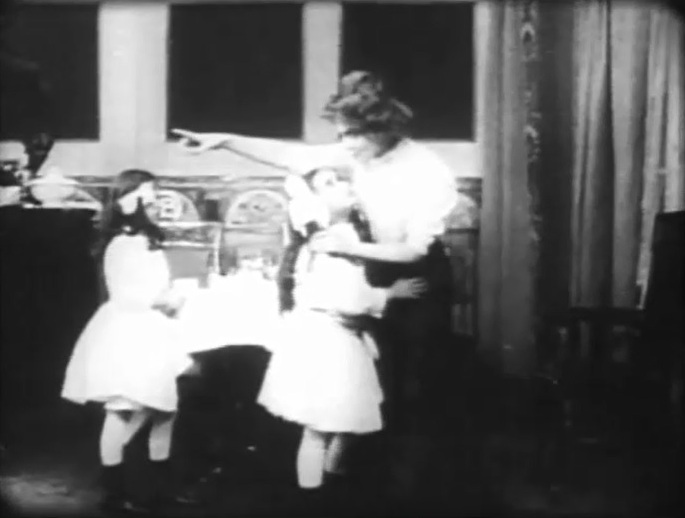 Florence Lawrence sends Adele DeGarde to look for her father in "What Drink Did" (1909), directed by D. W. Griffith, cinematographer Billy Bitzer. 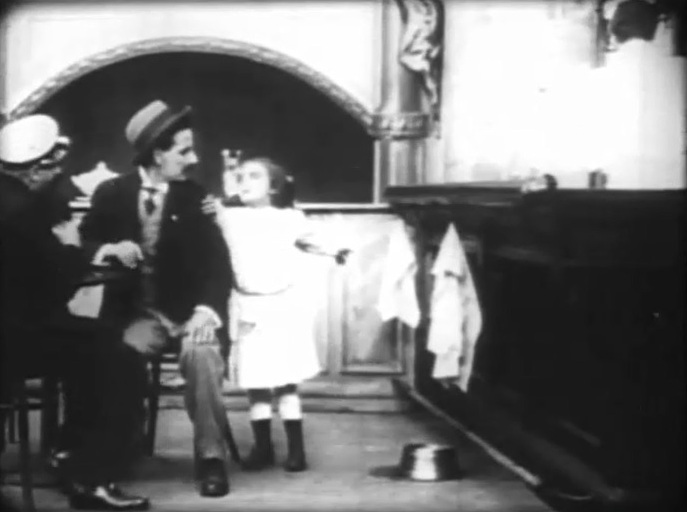 Adele DeGarde begs David Miles to go home in "What Drink Did" (1909), directed by D. W. Griffith, cinematographer Billy Bitzer.